Mumbai, September 12: The most awaited and loved Hindu festival, Ganesh Chaturthi is just a day away. The longest Hindu festival filled with fun, excitement, and fervor, Ganeshotsav brings people together to welcome the ‘Bappa’ with open hearts like each year. Celebrated on a grand scale in Mumbai and Pune, joy knows no bounds for the devotees. In 2018, Ganesh Chaturthi will begin on September 13 lighting up the streets brightly, people visit several pandals throughout the city, and many of them also bring Ganpati idols to their humble abode. This year like always there are several pandals that will bring Ganpati Bappa idols to their abode but with a twist. This Ganeshotsav let’s welcome eco-friendly Ganpati Bappa with a message to save the environment. As people are getting more environmentally friendly, many are opting for eco-friendly Ganpati decorations this year. In the last couple of years, we have seen people promoting eco-friendly Ganpati idols. 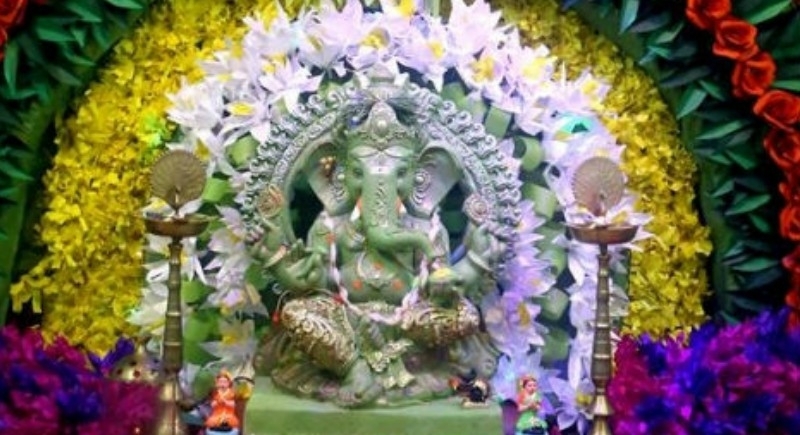 Here we list some of the most interesting options for those who wish to make their own idols at home, we have curated a list of ideas that you can try to make Ganesha idols. Glimpses of eco-friendly Ganesh idols from India! 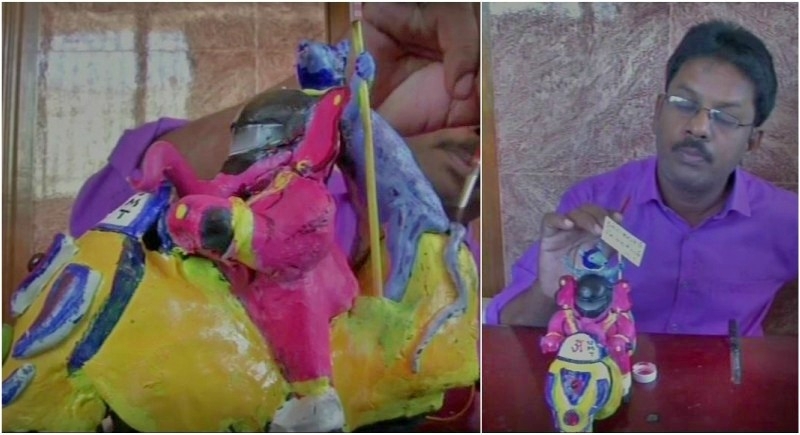 Miniature artist Raja from Coimbatore has created an idol of Lord Ganesha riding a bike. Well, this is a unique one that attempts to create awareness about the use of helmets among two-wheeler riders. A small contribution by young hearts! 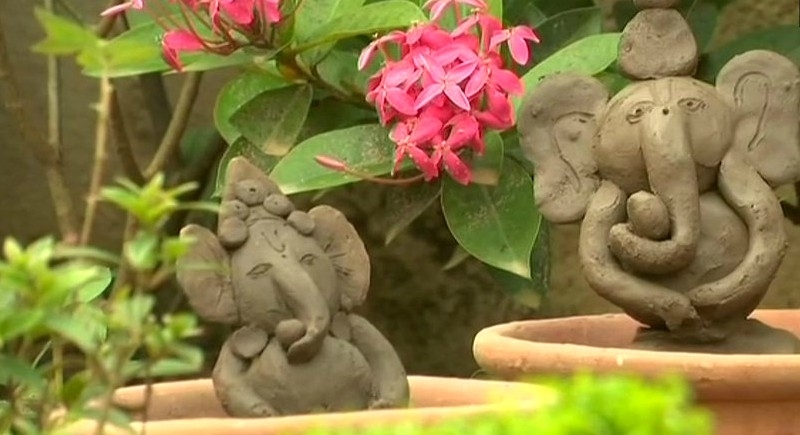 Children made eco-friendly idols of Lord Ganesha with clay for Ganesh Chaturthi on Tuesday in Bhubaneswar. Instead of immersing the idol in rivers, children poured water on the idol after putting it inside a pot filled with seeds. 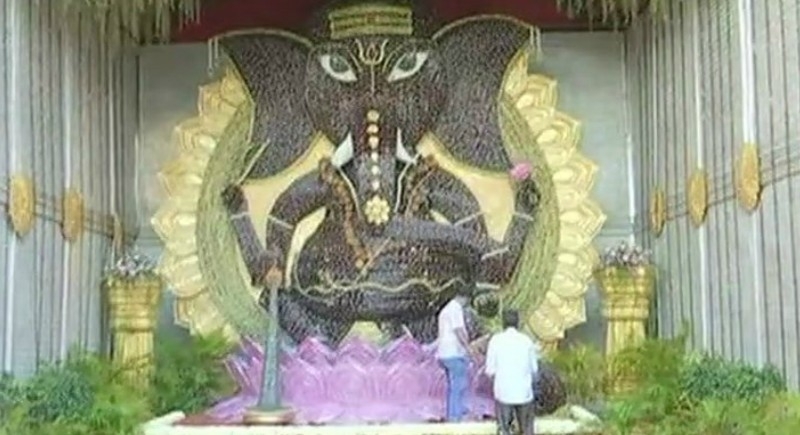 This one from Karnataka, Bengaluru's Sri Satya Ganpati trust has made a Ganesha Idol with sugarcane. A member says, "We wanted to do something that is eco-friendly so we chose sugarcane. To make the idol 5 tons of sugarcane was used&150 people are working on it for a month." 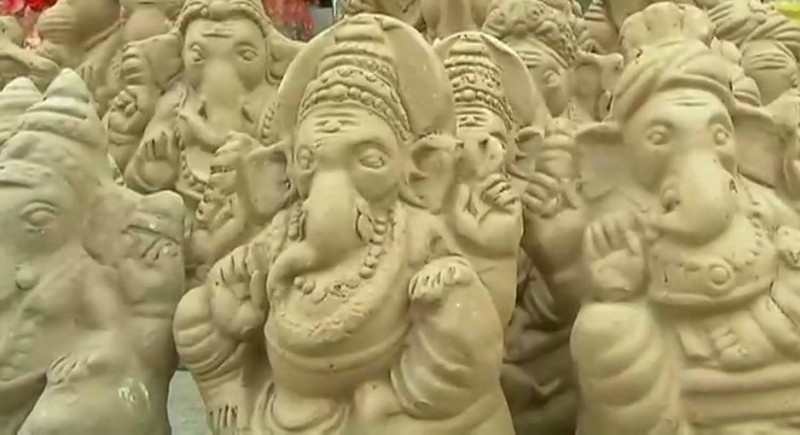 Demand for Ganesha idols made of eco-friendly materials has seen a rise in Hyderabad on the occasion of Ganesh Chaturthi festival. A customer says, "We have been installing eco-friendly Ganesha idol since 2 years as it doesn't pollute. These idols are less expensive." Miniature Ganesha made from chalk!